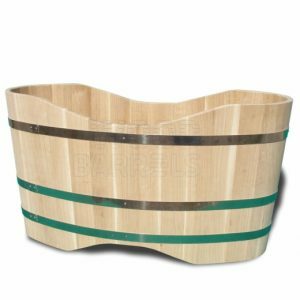 Our Wooden Hot Tubs are made of wooden staves glued and bound together with hoops made of galvanized steel, protected against corrosion. 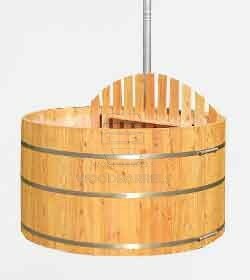 Each hot tub are made of solid wooden staves of 2 inch thickness. Our hot tubs are available in three different types of wood: Alder, Oak and Iroko (often referred to as African Teak).